Aliens are iconic. From the usual big headed alien to the scary horror movies like, well, Alien from 1979 that has sent chills down our backs for decades these nails have it all. This alien nail art can be cute or elegant when it comes to making your nail art a part of the entire universe. 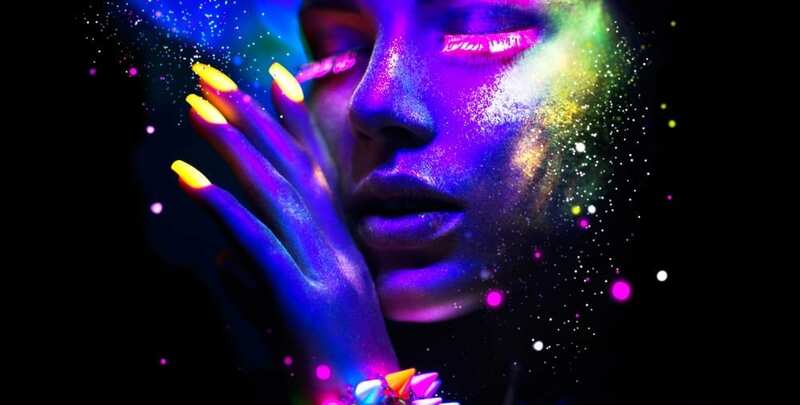 Whether you’re a fan of aliens, cute nails or are a huge conspiracy theorist or believer of area 51 you will love learning about the different ways to make your nails universally cool. I am starting off the list with this cute and adorable Disney inspired alien design by famous YouTuber Disney Style. You will be taken off this planet and eating some pizza from Pizza Planet in no time flat. Toy Story Land was introduced at the Disney Parks this year it would be incredibly difficult for me to leave this nail art out of the mix on the alien list. So here is the tutorial for some LGM ( little green men) for your space ranger inspired nail art. Who knows, emperor Zurg might even compliment your nails. Crop circles or crop signs on your nails are inspired by the landing of aliens. Ever since people have been finding weird patterns in their cornfields they have been blaming aliens. They have also been creating some scary horror movies about these crazy looking crop circles. Like for instance the very famous movie Signs (creative title). Either way, you will get an elegant and alien inspired nail art out of these cute patterns that were meant for corn, but should definitely end up on your nails. One of the best nail art tutorials for this is by Dragonsnails on Youtube. You can check out the tutorial and remember you can always find signs that this should be the nail art you choose. Want some out of this world nail art? What about some Galaxy nail art mixed with alien faces that would give Area 51 a run for its money? Yes, that’s exactly what you want when you think of alien nail art. So here is the best galaxy nail art combo with alien faces I could find for you. Check out this tutorial here. Oh, and don’t let these nails keep your head up in the sky too long. We can paint them too! They are easy to do! Looking for a more girlie alien look? Perhaps you want to mix aliens with some other random items and have a more pastel flair to your nails? Well, that’s perfect for aliens too. Here is a more girlie version of alien-inspired nails that you must try! You can even create your own twist o these nails and add more pastel pinks and blues. It’s entirely up to you! If you’re looking for an escape pod or spaceship to get your nails out of the old hum drum boring stereotypical earthling nails look no further than nail art with spaceships! You might not be able to enter the spaceship itself, but maybe an alien will see these cute designs on your nails and beam you up! Hey, other planets don’t have to be scary right? Find the tutorial here and get your ticket off of this planet. Have you ever seen the movie HOME? It’s a Dream works movie about an alien looking to get back home. It’s a cute little cartoon that not only made the kids crazy about it when it came out, but the adults when crazy about it too. Because the alien is just so relatable and cute! So without further ado. Here are the Home nails that you have been looking for even if you didn’t know you were looking for them yet. Don’t worry with these nails you will always be home. Okay, this next nail art is not your stereotypical looking alien with a big head. These are some three-eyed monsters that you might expect to meet somewhere out around the planet Pluto. Pluto is a planet again right? Either way, you catch my drift. These nails can be scary or cute depending on how you paint them, but check out the tutorial here. Looking for some easy to do galaxy nails? Of course, these are alien inspired because who else lives out in space within the stars? Who else lives in the actual heart of the galaxy? Exactly, aliens! While many people think that galaxy nails are hard to do with a tutorial by NailObsessionn will have you seeing galaxy nails a little bit differently. It will have you seeing them through a different telescope lens if you will. Here is the tutorial. Looking for a creepy alien nail art inspiration? Well, I couldn’t let you out of the UFO without checking out a horrific nail art piece. So these nails are spooky in their own right with aliens and a black background. They also glow in the dark and have a scary saying on them. Nothing creepier than glow in the dark spooky aliens. To get your spooky nails to check out the tutorial by StarryNail here. Not these may be a little harder to do and you will have to find the right glow in the dark polish to make this happen! Whatever your alien inspired look will be it will be sure to be out of this world. Just don’t forget about me when the spaceship comes to pick you up. I want off this planet too! Now go swing among the stars!